Need lots of space for your family or friends? 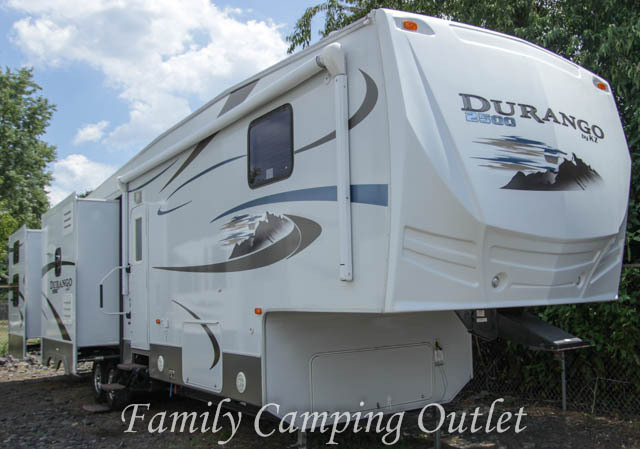 This 2011 Durango 355BH is perfect for you! It has five Slides, is very spacious, extremely comfortable, can sleep 10, and is in Excellent Condition! This trailer has a 12 Gallon G/E DSI Water Heater, Two 30 Lb LP Tanks, Power Awning, Power Roof Vent in the Kitchen, as well as Ducted A/C and Heat. Featuring a Queen Bed, 3 Bunks, Trundle Bed, Jack Knife Sofa Bed, and a Hide a Bed, there is plenty of space for everyone. On top of all the sleeping space, this Durango 355BH features a large island kitchen which has plenty of storage, and an 8 Cubic Foot Refrigerator. The spacious bathroom has a Glass Shower Enclosure, Sky Light, as well as a Porcelain Foot Flush Toilet. There is more too, from Rear Power Jacks, to Outside Speakers, to the Two Entrance Doors to the Bunk Room, and three years remaining on the Transferable Extended Service Contract! The UVW is 11,160 Lbs. 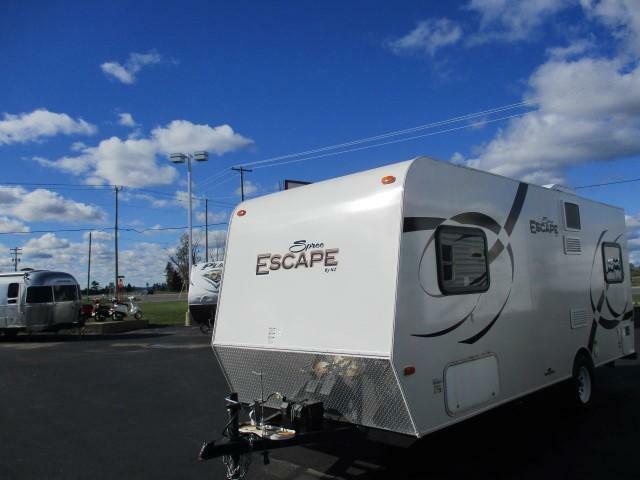 This camper is very "family friendly", roomy, comfortable, and ready to go on your next adventure. Call today! Negotiable! 1-866-806-3196. 2006 KZ Sportsmen Sportster M37K, Call for details. 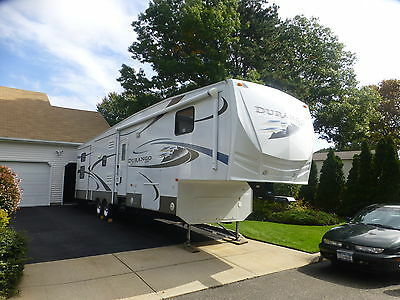 2011 KZ DURANGO 355BH - FIFTH WHEEL, BUNKS, SLEEPS 8, GREAT CONDITION!! THIS IS A GREAT 5TH WHEEL! LOTS OF SPACE AND STORAGE INSIDE AND OUT! SLEEPS 8 (queen bed in master, double air mattress in pull out sofa, 2 sets of twin bunks in back), CENTRAL VAC, TWO AIR CONDITIONERS, ISLAND KITCHEN, POWER AWNING, 5 SLIDES, BUNK AREA HAS TONS OF FLOOR SPACE AND STORAGE, ALREADY WINTERIZED. Our family used this camper one summer and really loved it, but we just do not need it anymore. There is absolutely nothing wrong with it. 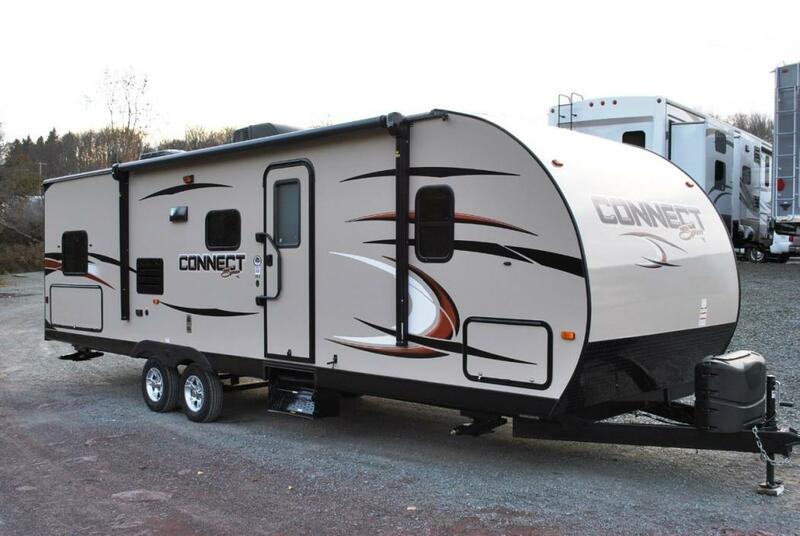 2016 KZ RV Spree 328IK, Video is PREVIOUS MODEL YEAR, not actual video of THIS STOCK UNIT!" DELUXE SLEEPER SOFAELITE PACKAGEFIREPLACEFRONTIER PACKAGELX PACKAGERVIA SEALSOLID SURFACE COUNTERTOPSTABLE & 4 CHAIRSTHEATER SEATINGWIRE FOR A/C W/50 AMP SERVICE 2016 KZ RV Spree 328IK The Spree lightweight travel trailer features comfortable and spacious residential luxury. Surrounded by warm wood tones and three designer interiors, the Spree is sure to exceed your expectations. 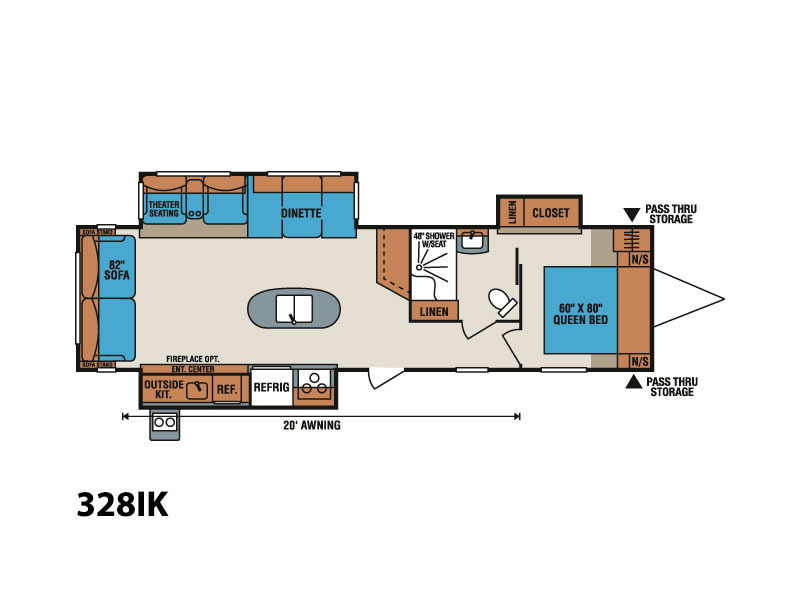 Spree floorplans are engineered for the long haul with six sided aluminum framing. The Spree ranges in length from 28' 3" to 37' 4". 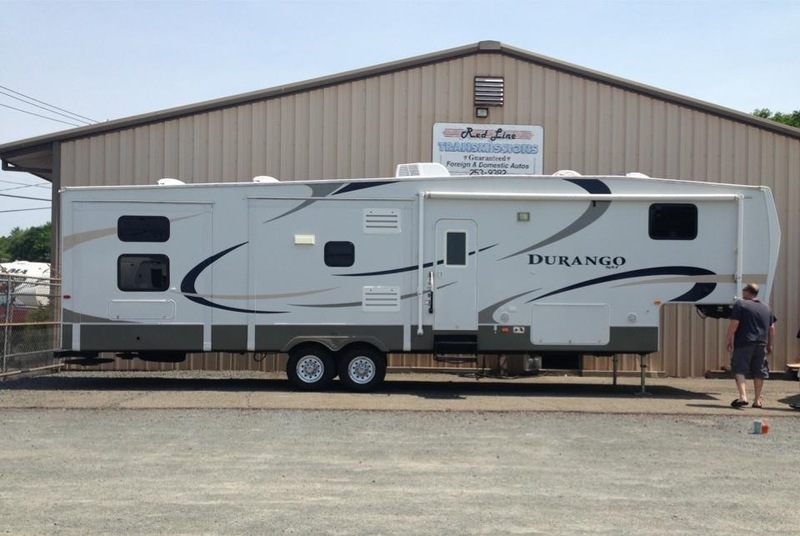 For sale is a gently used well maintained KZ Durango 2500 355BH 5th wheel. I wax it twice a year and it is covered in the winter. I put new tires on in July.The wheel bearings were repacked and the brakes were replaced last October. There are no stains or rips in the interior. We do not smoke. There are 5 slides in this unit. The rear has 2 slides and 4 bunks. The kitchen slide has the refrigerator, stove / oven, microwave and pantry. There is a center island in the kitchen with a double sink. The opposite wall has the dining table and chairs and the sofa. The sofa has an air mattress. There is an electric fireplace, a 32" TV and a CD/DVD/Radio. The front bedroom has a slide with a queen size bed. The bathroom has a Neo Angle Shower, Vanity, Medicine Cabinet and a Porcelain toilet. There is a Central Vacuum and Outdoor Speakers. The kitchen has a Ceiling Fan and a Shur- Flo Power Fan. 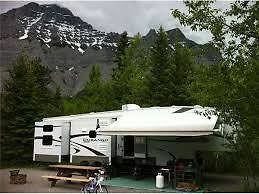 The unit also has the following, 17' Power Awning, 50 Amp Service, 16' Aluminum Wheels, Table with a Leaf and 4 Chairs, Equa Flex Suspension, Ladder, 15,000 BTU AC, Rear Electric Stabilizing Jacks. The bedroom is wired for a second AC Unit, the Steady Fast Stabilizing System has been installed along with a Reese Sidewinder. The unit has been winterized and is ready to go for the Spring camping season. If you have any questions you can reach me (Rich) at 516-639-2155. Specifications: 1) Length 38' 9". 2) Weight 11,400lbs. 3) Hitch weight 1901lbs. 4) Net Cargo Capacity 1713lbs. 5) GVWR 13,000lbs. 6) Hot Water Heater 12 gallon capacity. 7) Fresh Water 55 gallons. 8) Gray Water 80 Gallons 9) Black Water 40 Gallons. 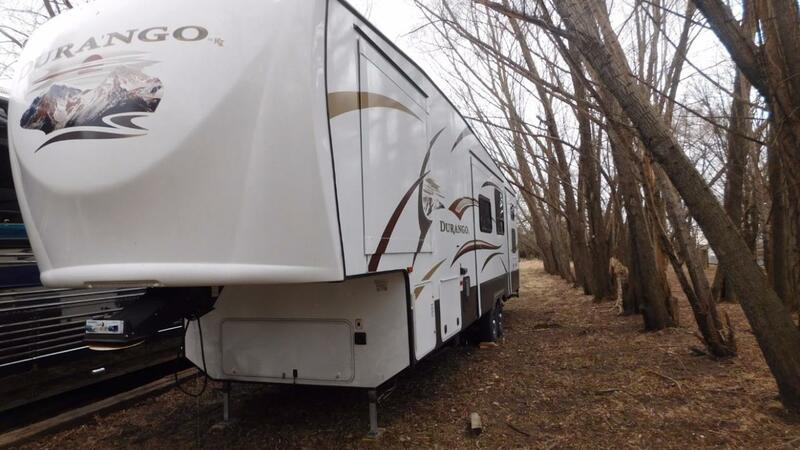 QUAD BUNK IN THE BACK, ISLAND KITCHEN, TONS OF STORAGE, 1 OWNER AND ONLY USED 1 SUMMER, POWER AWNING, FREE STANDING KITCHEN TABLE, AIR MATTRESS SLEEPER SOFA, CENTRAL VAC, ALL HOSES INCLUDED, VERY CLEAN! 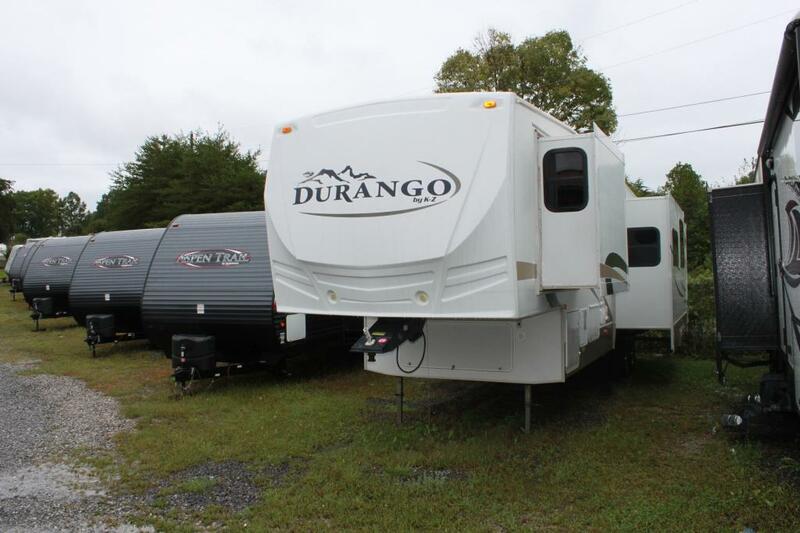 Fifth Slide Durango Fifth Wheel by KZ, Rear Bunkhouse w/Double Set Slideout Bunks, Wardrobes, Ent. Center, Sofa Slideout, Countertop Island w/Storage Baskets, Double Kitchen Sink, Pantry/3 Burner Range w/Micro. & Refrigerator Slide, Ent. Center, Step Up to Bath w/Angle Shower, Lav. & Toilet, Side Aisle Entry to Bed & Bath Queen Bed Slideout, Dresser, Wardrobe and Much More! 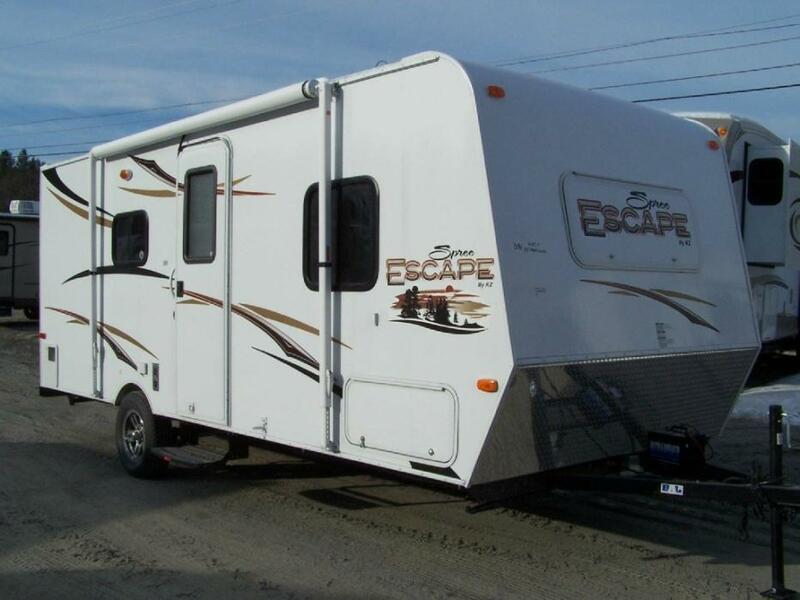 This camper is in excellent condition and has upgrades such as shock absorbers (really cut down on the road fatigue on the camper), new upgraded 14 ply tires, provisions for a second battery, and a rear receiver hitch for carrying a bike rack or pulling a boat. 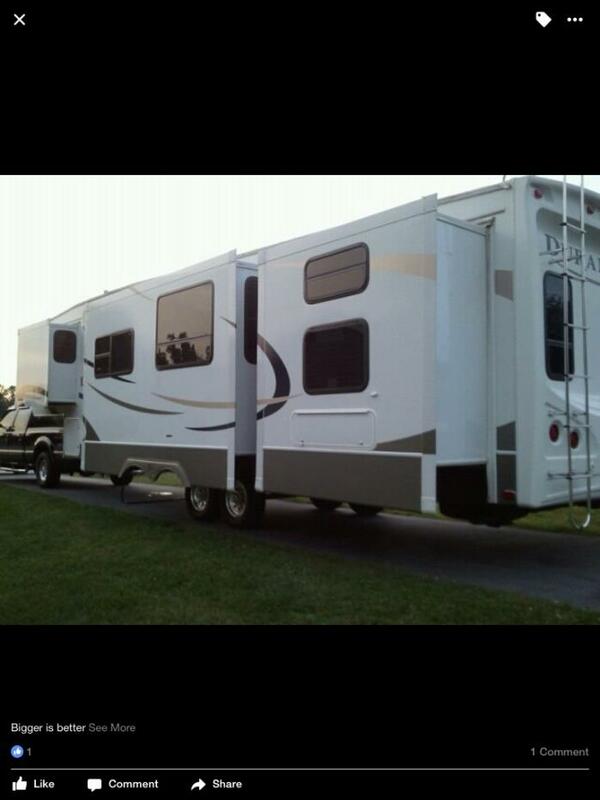 Beautiful 5th wheel camper for sale. KZ Durango 2009. 4 slide outs lots of room and storage. Queen size bed in master bedroom and 4 bunks in the bunkhouse. One and a half bathrooms. Camper has storage under the belly up in front and rear for storing all your camping supplies. Subzero belly for winter camping. Light Aluminum frame. All appliances are gas or electric hook up. Camper comes fully stocked with pots, pans, dishes, cup, Towels, sheets, blankets for all beds and every day stuff needed to camp. On the outside it comes with campfire pit and tripod for front Reese hitch stability. All you will need is put your clothes in and pick a camping destination.